If you’re thinking about trying a tournament for the first time, we have a “NEW CHALLENGERS” rule for the Ultra Street Fighter 4 Teams tournament – if you haven’t played in a tournament before or had a win in a tournament match, you can enter this event as a Spectator pass. There will be a special prize for the highest place team with a New Challenger teammate! 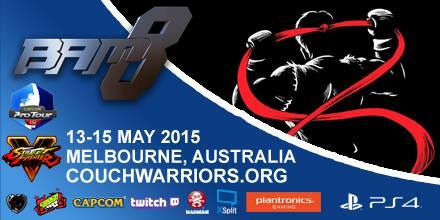 Attendees can get special rates at CQ Functions by quoting “BAM7” on their booking!